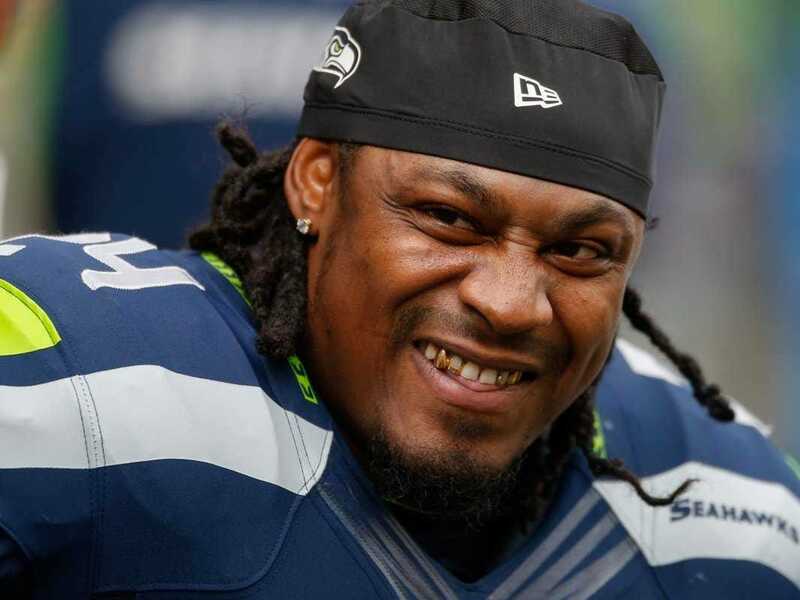 The public rift between the Seattle Seahawks and running back Marshawn Lynch appears to be growing wider. 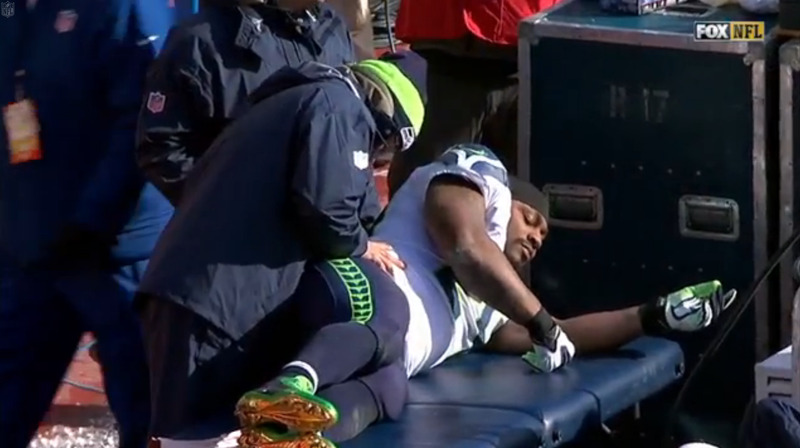 At halftime of Seattle’s 24-20 loss to the Kansas City Chiefs on Sunday, Lynch stayed on the field while the rest of the team went to the locker room. After the game he refused to talk to the press — which could draw a $US100,000 fine from the league. He later talked to the NFL Network’s Michael Silver and Michael Robinson from the parking lot. He told Robinson he didn’t go to the locker room at halftime because he was fatigued and “couldn’t walk” after taking some hits in the first half. During the halftime interval he was seen getting treatment on the training table, but he never came out of the game. Mortensen’s story very much positioned Lynch as the bad guy in this.